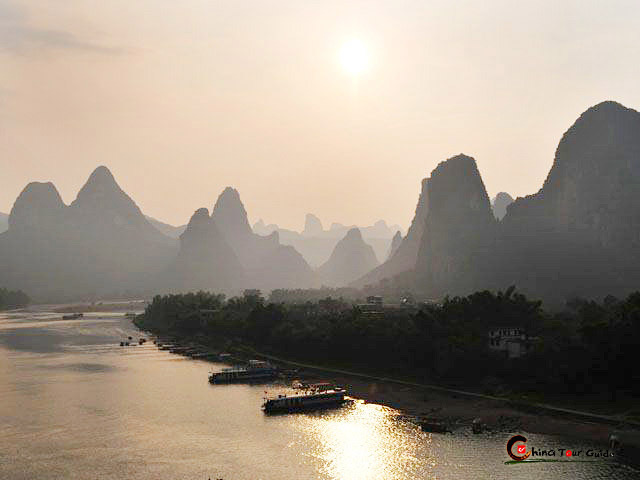 Fubo Hill is situated to the west of Li River and the north of Guilin. 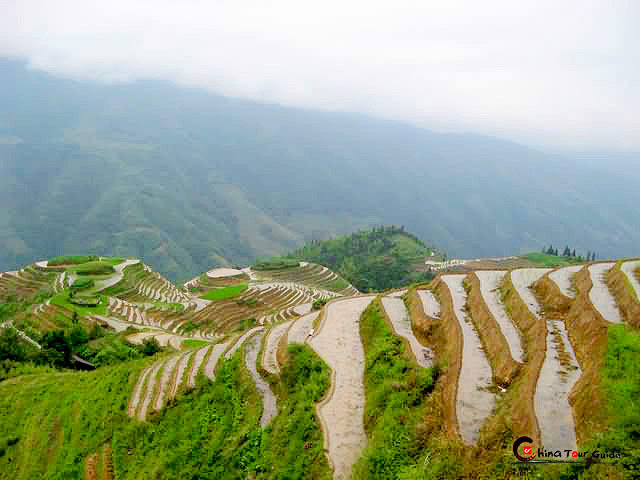 It is 63 meters high, 60 meters wide, and 213 meters above sea level. It is a solitary peak, standing elegantly half on land and half on water. As the water flows by the hill causes it to swirl, from which comes its name "Wave-Subduing" Hill. 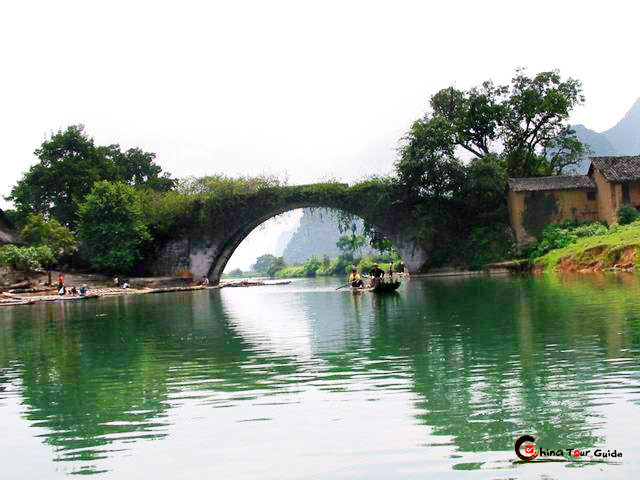 Fubo Hill 's unique shape and interesting sights make it a favorite of tourists. Near the river there is a rice pot big enough to cook for 1000 people at a time. The Southern part of the hill is a garden full of bamboo, palm trees and flowers. Over 200 Buddha images are etched into the wall of Returned Pearl Cave. Some are over 1000 years old while most date from the Song and Tang Dynasties. You can see Mifu 's, a famous painter and calligraphist in the Song dynasty, self-portrait. A rock called Sword Testing Rock hangs from the ceiling and almost touches the ground. The legend says the emperor tested his sword by cutting what was originally a stone pillar and has left a crevice at the bottom ever since. On the western side near the Returned Pearl Cave, there are stone stairways up to the Kuishui Pavilion and to the top. 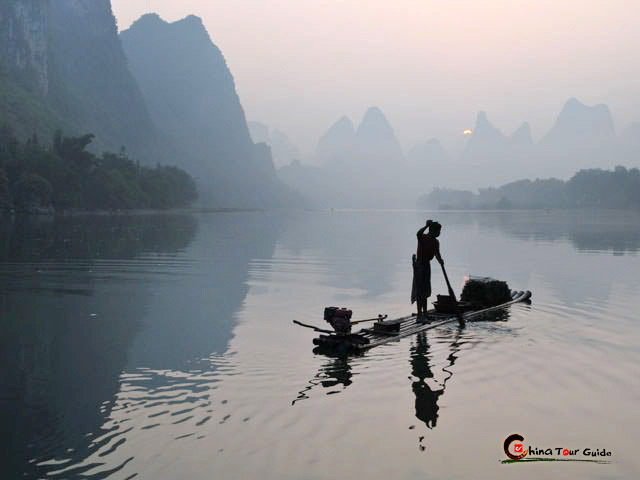 From there, one can feel the cool breeze while enjoying a bird's-eye view of the Li River.